The Memo reveals how to succeed in business using the covert WWII strategy that ultimately led to the Allied victory. Much is known about how the atomic bomb helped the United States achieve final victory in World War II. However, little is known about a weapon that was, perhaps, even more powerful—a memo. Classified as “Restricted” by the U.S. War Department, “The Memo” contained a management doctrine under the subject of “Completed Staff Work." This memo turned military command structure on its head and focused on the power of staff instead of their commanders. Simply put, instead of relying on senior leaders to think up solutions and then order staff officers to implement them, , aides would be charged with presenting fully developed solutions, which command could approve. Now declassified, The Memo holds valuable lessons that will help anyone advance in his or her career. The Memo emphasizes leadership and followership, and shows aspiring employees how to advance by employing the power of teamwork to make their leaders successful. "The business world is recognizing more and more the importance of effective teams in getting projects done and keeping all organizations nimble and innovative. Which makes this book—based on a once-secret military memo written decades ago—so timely, and, indeed, urgent." "An excellent primer for new managers, The Memo is also a great review for the experienced executive to revisit and improve his or her own leadership approach, and to identify opportunities to enhance organizational effectiveness. 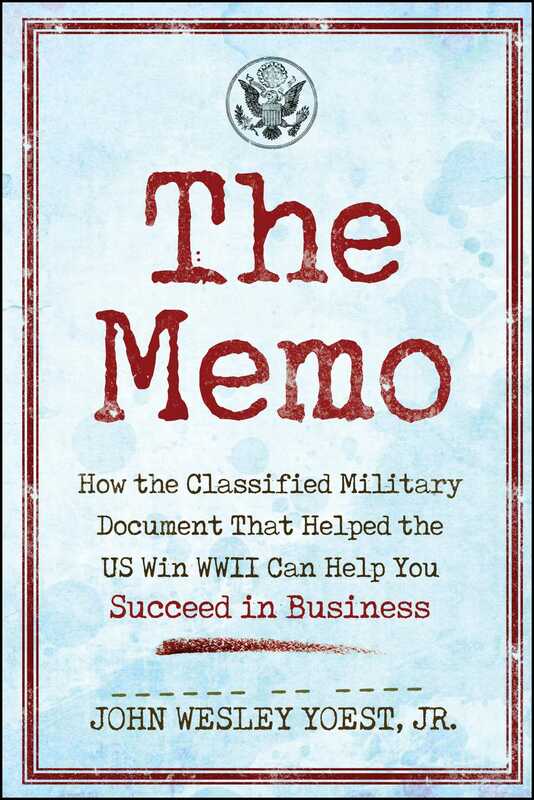 The Memo brings together, in an interesting way, the author's personal experience, with historical highlights of management, as developed and utilized by the U.S. military. With pertinent quotes from accomplished military and business leaders, Jack creates an excellent story about decision-making and organizational effectiveness. I am recommending The Memo to my son as the first book he should read as he takes on the challenges of his first managerial position." 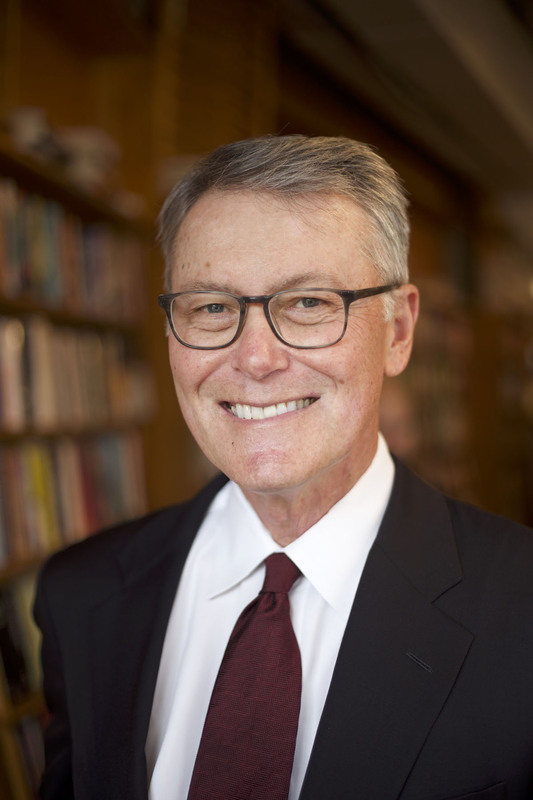 – Lawrence J. Blanford, Retired President and CEO, Green Mountain Coffee Roasters, Inc.
"Want to know how to manage a large organization in a way that frees you to actually LEAD and empowers your people to develop into leaders who will become far more than you pay them? Jack Yoest has captured this simple, but seemingly elusive concept by borrowing the memo that won WW II. Your assignment is probably not THAT big, but if it won a world war, it is definitely worth your time." "If you're a leader; a military general, a business executive, a football coach, or a new US president and were allowed one book to read, The Memo by John Yoest would be the one I recommend. The clarity of this superb book and the brilliance of the original WW2 document, Completed Staff Work, is the roadmap to success in decision-making. The staff prepares the decisions; the decision maker makes the decisions. Sounds simple. The Memo makes it so." "I wish Jack had written this years ago. This is a must-read for leaders of organizations and companies as well as smart employees who want to succeed. Time is one thing we can't create more of, but this book helps us become more efficient and more effective—both as manager and as staffers." "Whether you're a newbie or an old pro, be a better, wiser, more professional, and successful manager by learning from the geniuses who managed our victory in WWII using many Biblical principles. My friend Jack Yoest's book will empower you." "If you are interested in being better as a leader or follower, then this is a must-read. The Memo will occupy a special spot on your bookshelf between Message to Garcia and One Minute Manager Meets the Monkey. It defeats the confusion and fears that consume people when they set out to lead people and manage projects. This was an extremely satisfying read because it breaks the mold of the stuffy academic language and tone usually found in such works. This book will surely point you in the right direction on how to win your own leadership/management battles." "Jack Yoest managed through a potential crisis at the dawn of the Information Age. He organized experts and resources to prevent a real problem for Virginia and beyond, and shows up more in The Memo." "I selfishly asked to write an endorsement for The Memo because I wanted to get my hands on a copy of it well before it was released to the public. It's fun, informative, and everything you'd expect from its charismatic author, Jack Yoest. Jack and The Memo are rare in that they are both academic and entertaining at the same time. You're going to enjoy this... and you're going to learn a lot." "Jack Yoest offers clear, concise advice on attaining great leadership and management tools based on a tried-and-true military technique. The Memo should be read by anybody who wants to lead a team efficiently and effectively." "A business grows when its leaders, managers, deputies, and employees succeed together. A great leader leads AND needs a great staff. And a great staff follows AND empowers a great leader. All leaders, managers, and staffers should read this book. Jack Yoest teaches us all how to succeed - together - by being a successful team through the principles of an old military document." "Jack Yoest has the knack of simplifying leadership advice that others make unnecessarily complex. That's why every business owner and startup entrepreneur should read this book. If you are looking for a crash course in how to lead and empower a team to deliver their all and make your business the success you dream it will be, get this book - today!" "Powerful. Timely. A must read. Leadership, teamwork & the strategy that helped win a war. What else could you want? Jack Yoest uncovers a strategy that is needed, more than ever, by today's leaders. Jack Yoest knows leadership! I would follow Jack Yoest into battle any day." "What the world needs more urgently that great CEOs, is effective middle manager. THAT is the truly endangered species in the business world. The Memo is a how-to manual for anyone with a thirst for effectiveness and getting things done - a manual for the long lost art of 'managing up.' Get ready for an easy but fast-paced read that will provide you with delightful stories and a plethora of inspiring quotes. Every chapter ends with a word-focused summary and a few powerful reflection questions. The book reflects the Jack Yoest I came to know over the past 5 years of teaching alongside him: A no-nonsense, getting it done kind of person who leaves you inspired not only to become a better business person, but a better Christian."